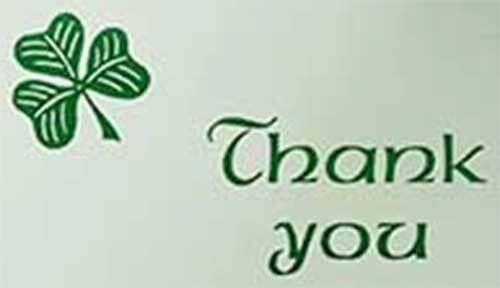 Irish thank you cards feature the Claddagh, the shamrock or Celtic knots. 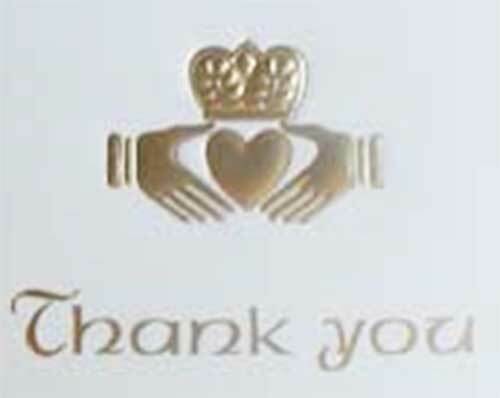 Our Irish thank you cards feature either a gold foil Claddagh or a green embossed shamrock. We also have a boxed set of Celtic thank you cards. These Irish note cards are a great way to thank your wedding guests. Our Irish thank you cards are the perfect complement to the theme of your Irish wedding. We also stock single Irish wedding cards and Irish greeting cards for just about any occasion.